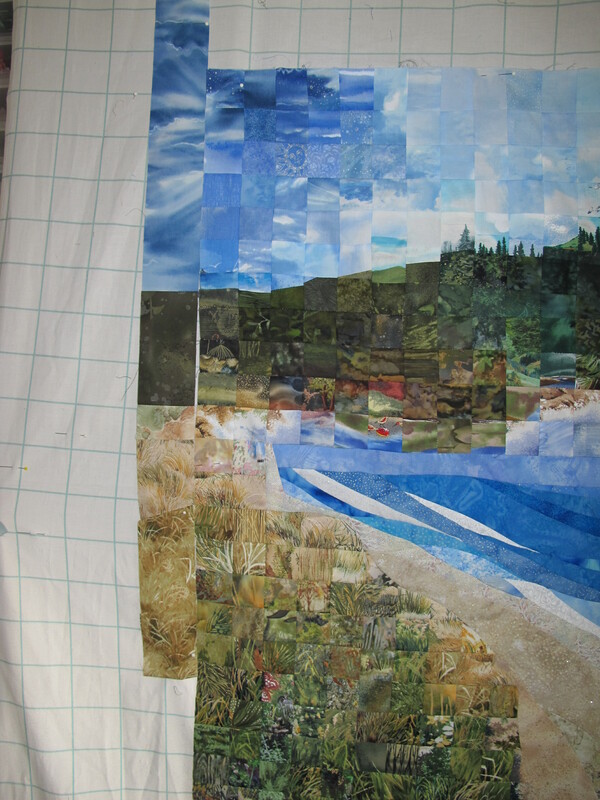 One of the signature design styles that I frequently use on my watercolor art quilts is a 2″ to 3″ border around the piecework that helps blend in the various sections of the quilt into a complete picture. 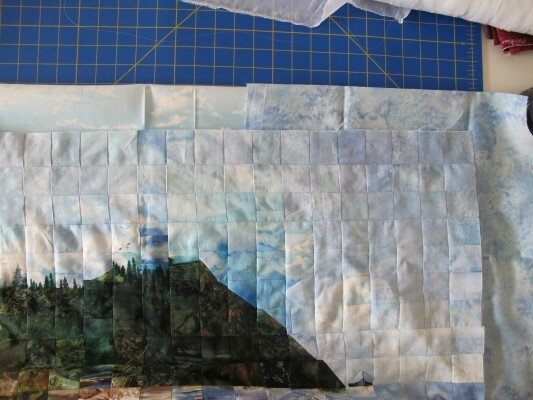 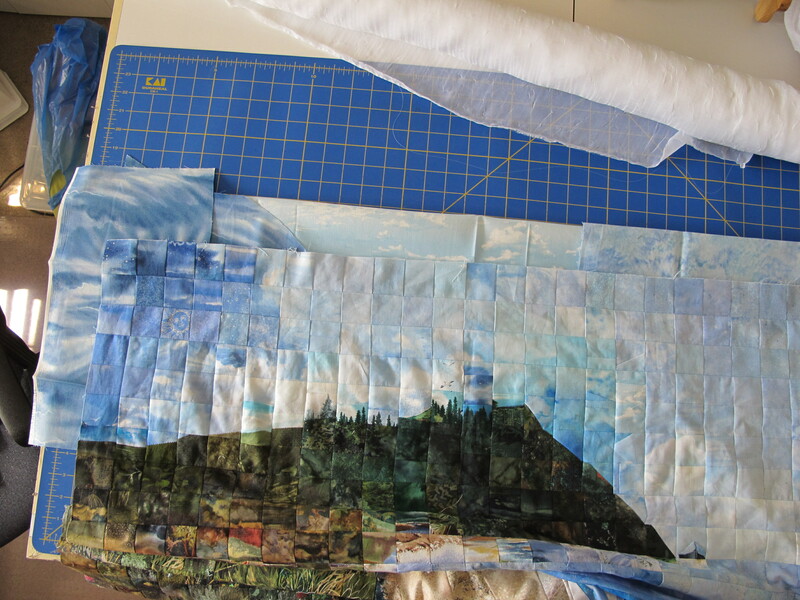 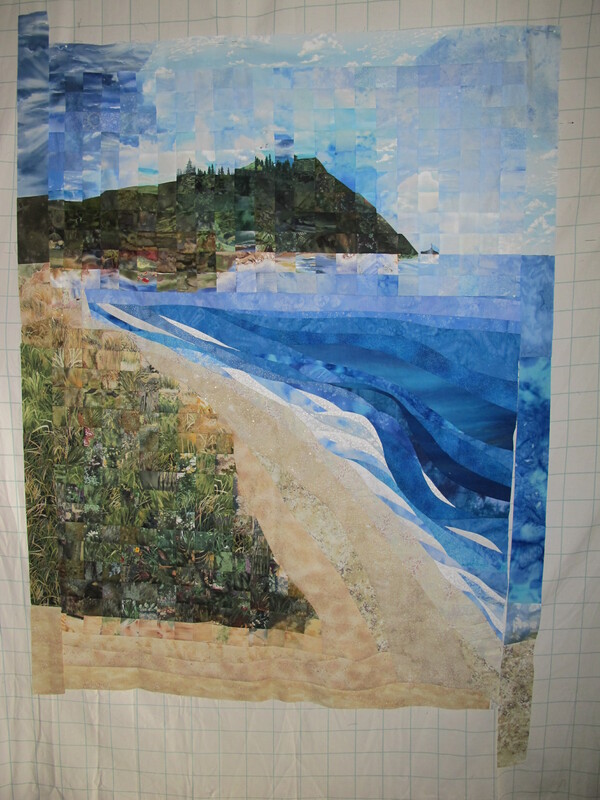 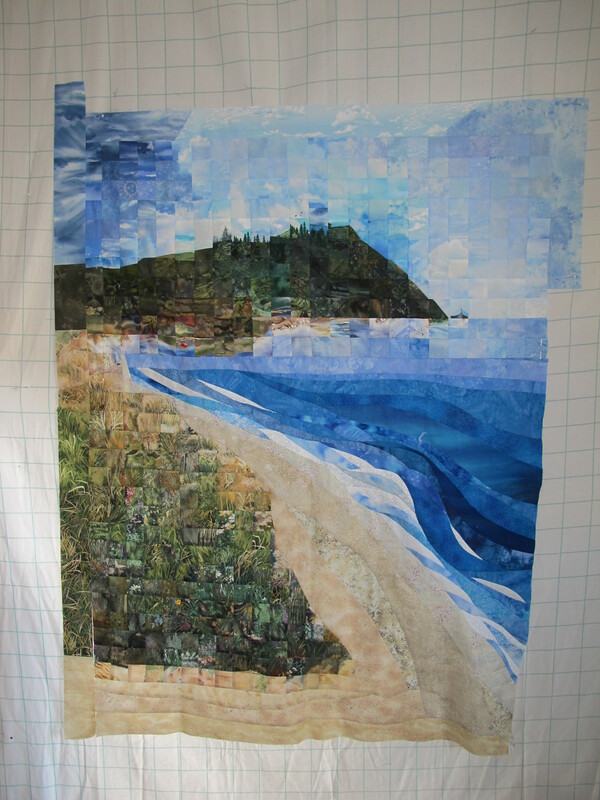 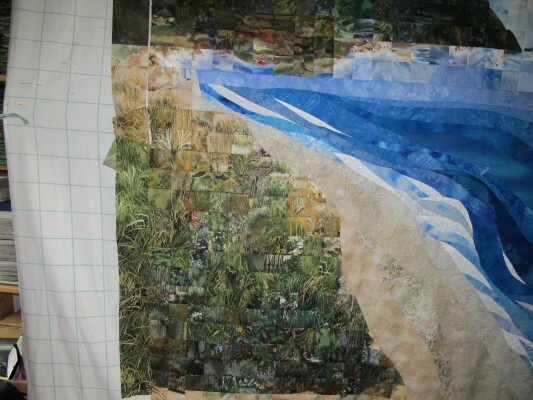 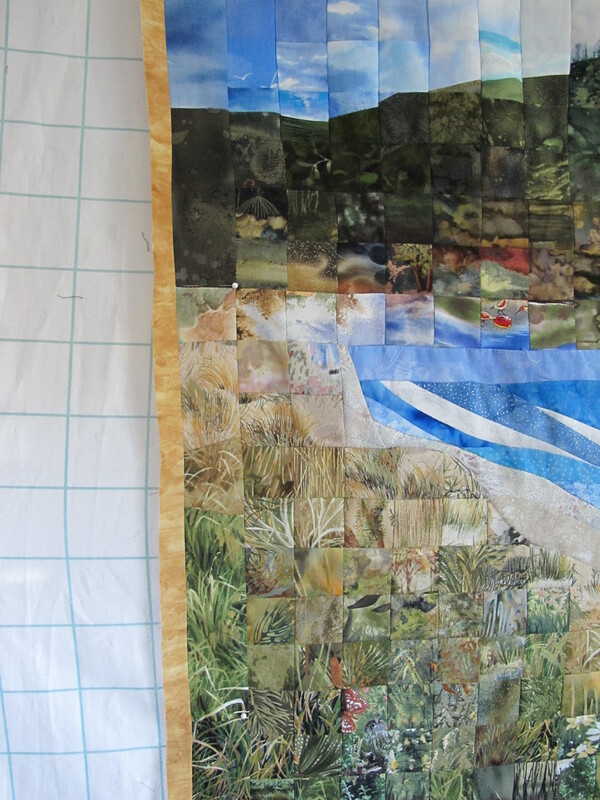 On this quilt, I started at the top, outlining the sky, then down along the sand dunes and grass on the left, and finally the ocean on the right. Another signature design element for my art quilts is a 1/2″ border around the initial border to help frame the completed picture. 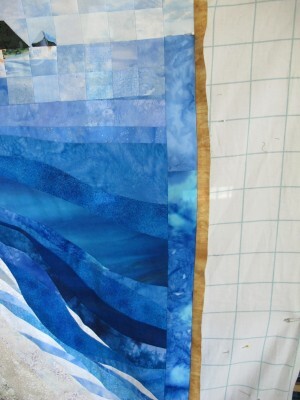 This thin border is usually a color chosen from the completed design that accents the various areas and aids in the overall balance of the final design. 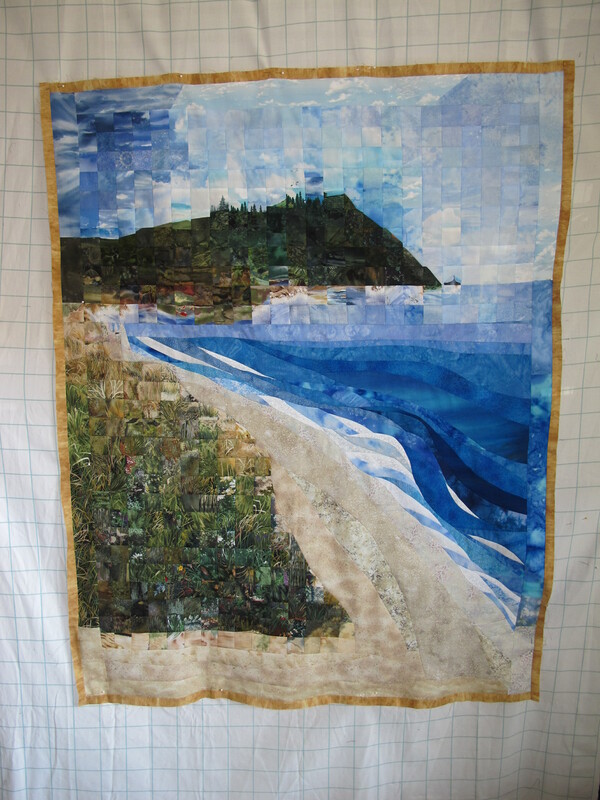 For this quilt, I choose a deep golden watermark fabric to bring out the blues and greens and replicate the golds in the grassy area. 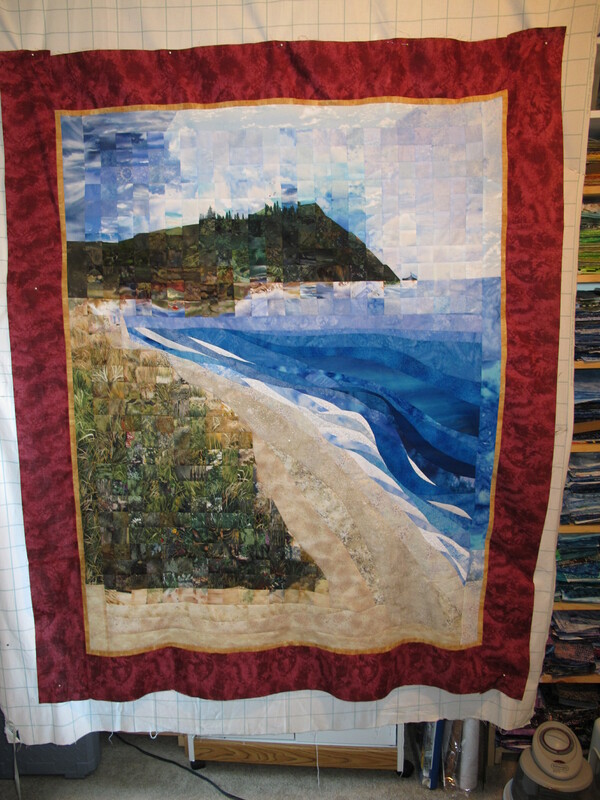 The final 3″ to 4″ border was a color requested by the individual who commissioned this quilt. 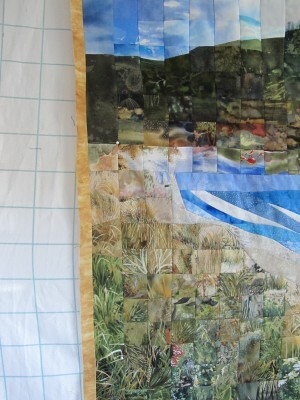 She wanted something in the burgundy range and this fabric pulls those tones from the land formation and the grass.